The economics of wind power depend strongly on wind speed. 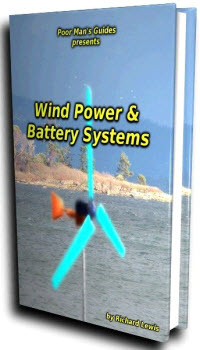 The actual energy contained in the wind varies with the third power of the wind speed. Double the wind speed, and the energy it carries increases eightfold. A 1.5 MW wind turbine at a site with a wind speed of 5.5 m/s will generate around 1000 MWh/year. At a wind speed of 8.5 m/s the output rises to 4500 MWh and at 10.5 m/s the annual output will be 8000 MWh. This is close the theoretical limit. Other factors will come into play at very high speeds, limiting turbine output. However these figures indicate quite clearly that the selection of a good wind farm site is vitally important for the economics of a project. The starting point for any wind development, then, must be a windy site. But other factors come into play too. Wind speed varies with height; the higher a turbine is raised above the ground, the better the wind regime it will find. This will benefit larger wind turbines which are placed on higher towers, but larger turbines tend to be more efficient anyway, so additional advantages accrue. Depending on the efficiency of a wind turbine, there is a cut-off wind speed below which wind power generation is not considered economical. 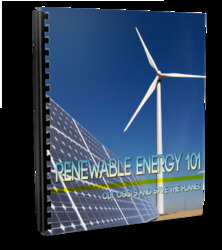 This figure depends on the efficiency of wind turbine design as well as on the turbine cost. With the turbines available at the beginning of the twenty-first century, a wind speed as low as 5-5.5 m/s is considered economically exploitable at an onshore site. Since offshore costs are higher, an offshore wind speed of 6.5 m/s is needed to make a site economically attractive.